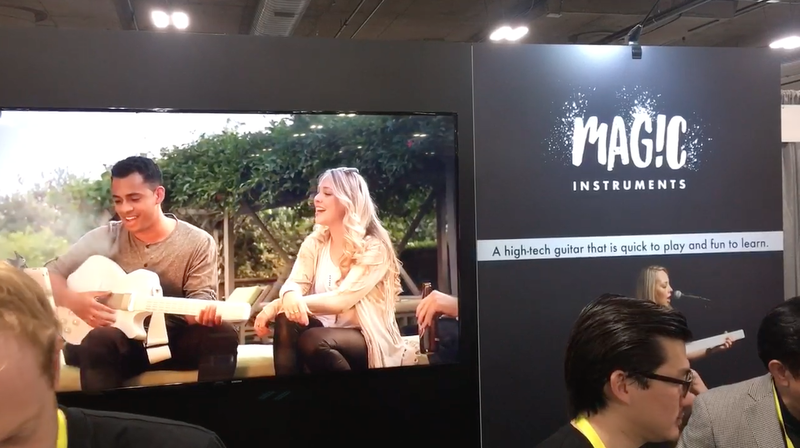 From a high-tech guitar to amazing holograhic technology, here are some highlights from CES. My first day at CES was insane. 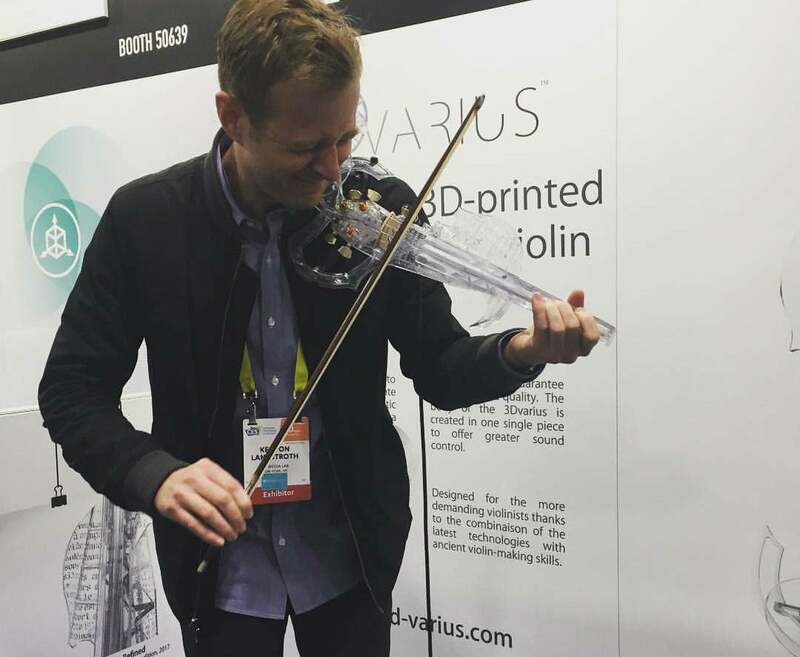 I saw so much technology at CES, it was mind-numbing. This show is an overload -- in the very best way. It’s a mob! I don’t know what took me so long. If you’re not at CES, you’re out of it. The booths that were packed and loud were very interactive. They had to be to stand out in this tech-obsessed crowd. The products upstairs -- like 3D printers and smart watches -- weren’t exactly revolutionary. These were more or less proven moneymakers. It was corporate. But the atmosphere downstairs was different. It was intense. The startups there are battling it out to eventually make it big and move upstairs, which I can’t help but love. They’re out there in the aisles, hustling. Fighting tool and nail to get noticed. These are my people. When something was hot, it was obvious, because the cameras were out. Some booths were three or four persons deep the entire day. Holograms are here! And they are amazingly cool, especially Kino-mo. The company creates holographic technology to be used in advertising. This London-based company’s one-sentence benefit statement: Take your logo to the moon. And they definitely did that at CES. The booth I checked was for Hypervision, Kino-mo's "holo-displays." You can think of them like holograms, because that's what they look like but less costly. That said, so far the holo-displays have been used by brands like Aston Martin, Intel, and Samsung for advertising. 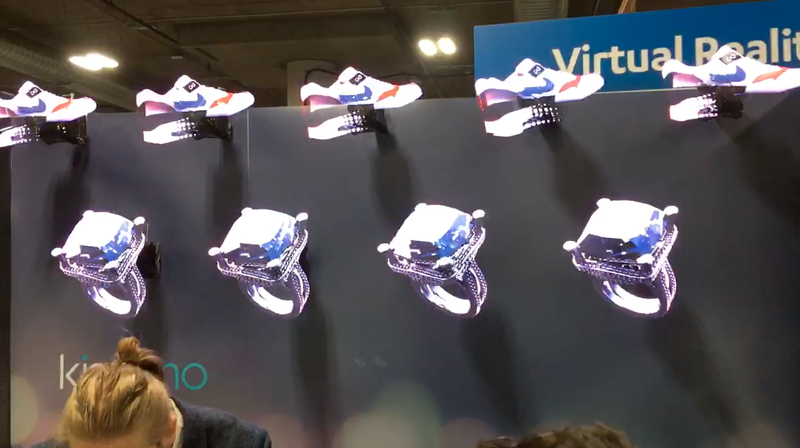 Someone on the team had been smart enough to mount the holograms high enough, so that they could easily be seen from a distance, which meant their booth was packed all day long. I must have walked by six times. The visuals themselves were vividly bright and looked as if they were floating. You had to pull your phone out. 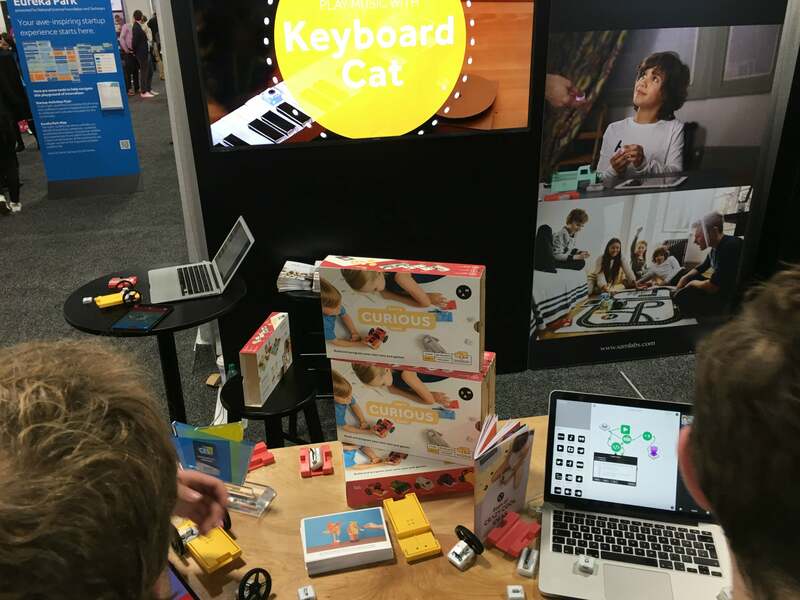 I really dug SAM, an innovative new toy from UK-based startup SAM Labs that “allows kids to start building and creating in a really fun and intuitive way,” Morten B. Hagen, head of sales and marketing, told me. Using SAM’s small wireless building blocks and app, children can build and program their own inventions. When Hagen said, “You can think of it like Lego from the future,” within less than 15 seconds, I was sold. That’s a great benefit statement! Developed by a Julliard-trained musician, I was told anyone can play it. Officially, on their marketing materials, it’s “quick to play and fun to learn.” Interesting! The company graduated from Y Combinator in winter 2016 and raised $415,000 in pre-orders on Indiegogo. This product was wild. Taking several hundred hours to hand-make in France, it marketed itself as a “combination of the latest technologies with ancient violin-making skills.” Customized and adopted to the user’s body, it was eye-catching and even more fun to watch the gentleman doing the demo wail on it. I’ve been to a lot of trade shows but none that have been so interactive. Much of what I saw downstairs was pre-production and had gone or planned on going the crowdfunding route with Indiegogo and Amazon Launchpad’s presence felt.